In 1964 Jerry Lee Lewis was struggling back home in the US. He had recently moved from Sun to Smash Records, and they had a plan to get him a hit record. 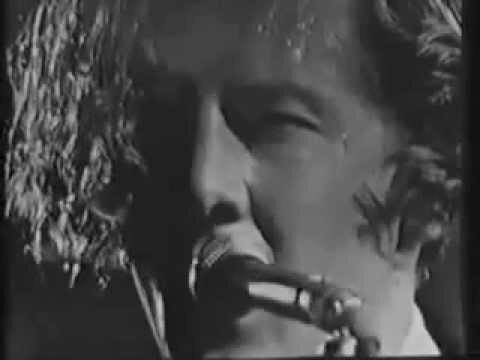 Just a few weeks before Landing in -England, Jerry Lee had recorded what many were sure would be his comeback hit: “I’m on Fire”. This great song never good further up than 98 on the charts, the Beatles was the new hot thing. Jerry Lee traveled to Europe for 14 stops in England & 2 in West Germany. On this short tour Jerry Lee gave some outstanding performances, among them this Manchester TV Special & the Hamburg Star Club concert. He was that kind of guy. All he wanted to do was get on the damn piano and do his stuff. And it was that kind of immediacy that we were aiming for. It wasn’t controlled. It’s a dangerous thing to do, and you wouldn’t be able to do it now.